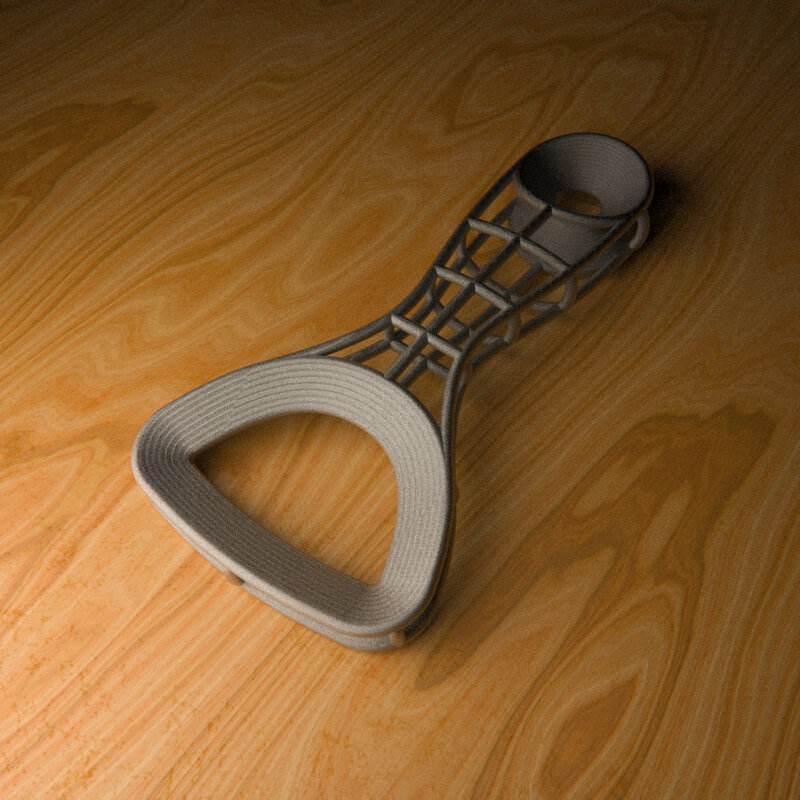 Contour is a bottle opener inspired by the the contour lines we often use in Industrial Design sketching. This creates a functional form while reducing the material used. The design is manufactured using a metal sintering 3D printer.